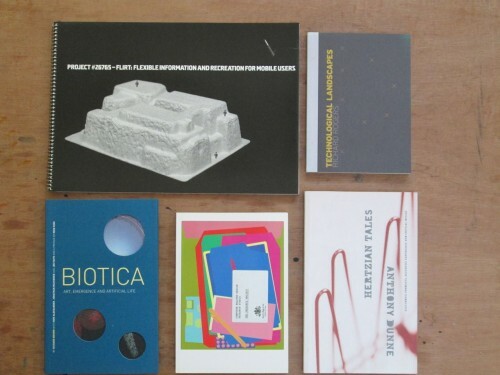 Our fourth special offer to help raise funds for new projects and initiatives is from my personal archive of publications which I published whilst I was a member of the RCA’s Computer Related Design Research Studio. These were produced between 1999 and 2001 and include some rare copies of the original first edition of Tony Dunne’s classic, Hertzian Tales and the FLIRT book, a research project led by Fiona Raby. Sorting through my archive, I found 11 copies of each which will be available per set for just £25 plus post & packing.